Can't stop thinking about that well-deserved getaway? When you're ready to take the plunge and sort out your tickets to Caloundra, Wotif will be here to help. Around 39 000 people call this locality home. Brisbane, the state capital, can be found roughly 75 kilometres to the south of this destination. Alternatively, Golden Beach is 2 kilometres to the southwest. The only hard thing about getting to the coast in this region is deciding where to go! Kings Beach and Moffat Beach are great places to have a picnic or go for a refreshing walk along the water's edge. 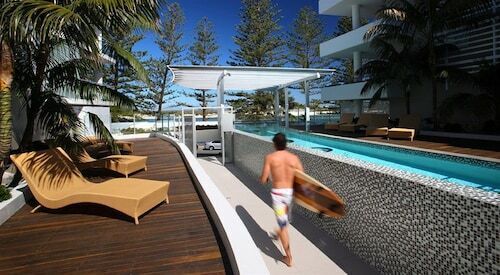 If you're looking for something a little different, Dickey Beach and Kawana Beach are a couple more great spots nearby. At Caloundra Street Fair you can rub shoulders with the locals, peruse the racks and give that credit card of yours some time in the spotlight. If you're a golf nut, challenge a travel buddy to some healthy competition and get some exercise at the Caloundra Golf Club. If you've got an itinerary that's a little light, and you've already visited all of the most popular landmarks and tourist spots, you can still find plenty to do. 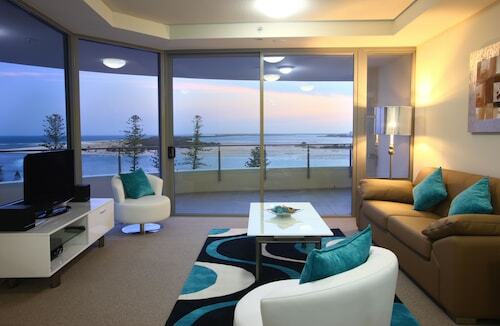 Think about visiting the less mainstream outings, such as the Caloundra Events Centre. Great hotel. Location is perfect. 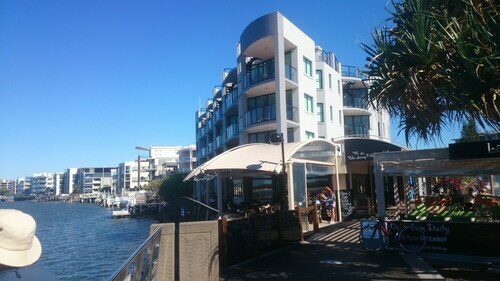 5 minute walk from the beach and cafes. Pool facilty is excellent. View is stunning. Our 2 bedroom unit was great. Heaps of room and again the view was lovely.